Here in the UK the British discerning gent takes style very seriously. Why wouldn’t he? But sometimes contrast provides a good benchmark as to where you match up. Not that London is lagging behind of course. But in style terms, the Italians have always had this reputation to be one notch above everyone else and this is no more evident than at Pitti Uomo in Florence – the menswear show run alongside Milan Fashion Week. Elysium Magazine recently witnessed this sartorial flair firsthand and had our eyebrows raised at the consistently high standard of slick tailoring on show – both from the seasoned Milan Fashion Week pros and the fresh talent emerging from the industry seams. With a look to the future, here’s our pick of the best of the young designer causing the biggest ripples at this January’s showcase of style. A man who cause much excitement and fascination with his new collection at Pitti Uomo. His love for knitwear was evident, his time with famed Italian knitwear brand D.Exterior plain to see. 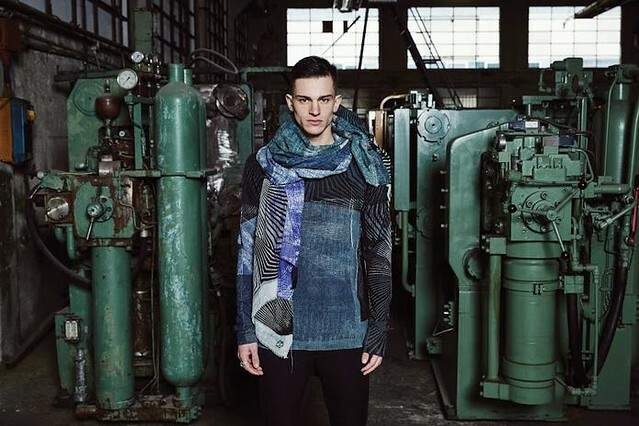 His new collection had an industrial flavour to it combined with influences of art that spans the ages. Overall it’s a classic style and the heavy knitwear would certainly be welcomed during the current temperature drop we’re currently experiencing in the UK. Now, technically not an Italian designer here but a Korean one – though still heavily involved in the news from this terms showcase. Document is one of those designers that oozes innovation and the secret is always in the details – something Elysium Magazine has always been a strong believer in. Such touches of attention to the details litters the entire collection and we see this designer really going far. Definitely keep an eye on this one. 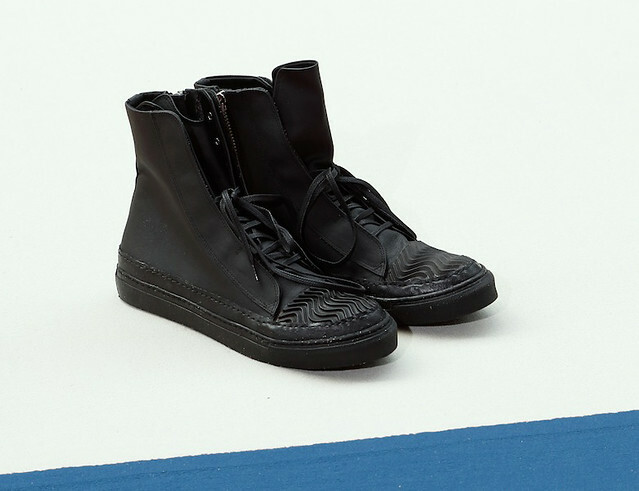 Carrying on the non-Italian theme is Paris-based footwear label Rombaut. Now Italians do footwear very well so it would be too easy to pull out the Italian trend setters. So, taking a look at what else is happing in the category gives us a better view and the view at Rombaut is beautifully crafted footwear made only using organic materials. That’s no animal products, only organic cotton, natural rubber and other ethically-sources materials. The Rombaut trend is growing and 2015 should be a big year for the label.